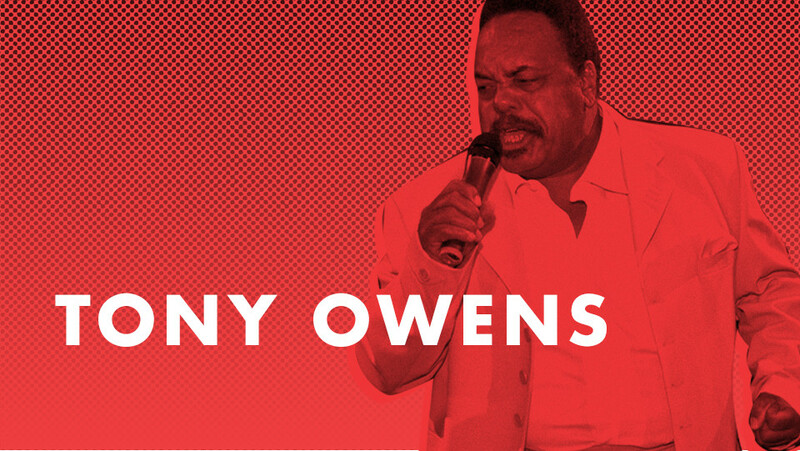 TONY OWENS is an 'underground hero' who lived in the shadows of the big names during soul music's golden age. Although his name may be unknown to the masses and almost forgotten by many soul fans, Owens is highly respected by real soul connoisseurs who rightly consider him to be on of the great unknowns. Despite the fact that he wasn't a prolific recording artist, having less than a dozen 45s issued in a period of twenty-four years, Owens was a big attraction in his native city of New Orleans and he built up a small but loyal following overseas, particularly in Europe and Japan. It seemed as if good soul singers could be found on almost every street corner in some American cities during the 1960s and 1970s. Budding stars had to face fierce competition in a heavily congested market and only a tiny percentage were fortunate enough to get a chance at local action or a lucky shot at the big time. Tony Owens certainly got his share of regional success and on one occasion he had a top forty national R&B hit with a haunting ballad for which he is remembered by many to this day. No doubt the result of his early exposure to blues and gospel music, Tony sings with conviction and passion. His rich voice is expressive but controlled; perfect for intensely soulful ballads where sincerity is such an important ingredient. At the same time he is equally convincing on dramatic uptempo numbers, perhaps influenced by a classic 'heartbreak' singer such as Levi Stubbs of The Four Tops. Born into a religious family in the Zion City district of New Orleans in 1948, Tony 'Tiger' Owens was exposed to blues and gospel from an early age. His mother sang in the choir of a Baptist church, his father played piano in local blues clubs and Tony sang in his Sunday school. And as New Orleans has such a rich jazz heritage, the combination of these classic influences gave Tony all the education he needed to become a soul singer. Blues, gospel and jazz are the key elements of soul music [...edited from the liner notes by Paul Mooney].